Background music can enhance many experiences, but when we wanted to add our own background ambient tracks to podcasts we listened to it just wasn’t possible. So, we made an app for that. 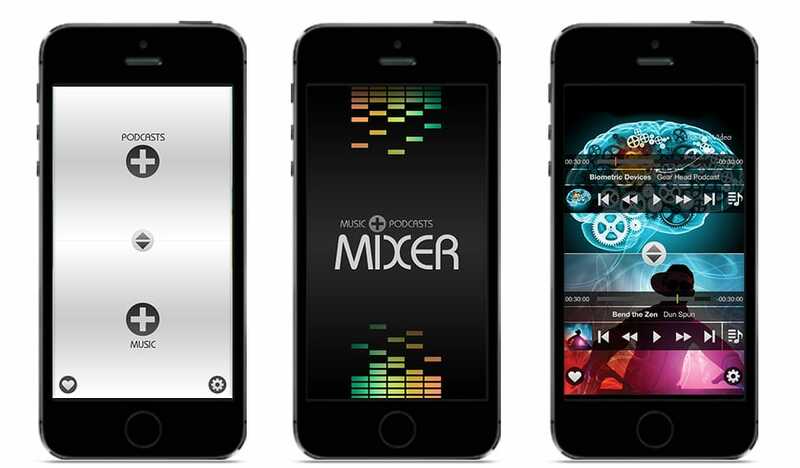 Music & Podcast MIXER lets you mix your music into any podcast on your iPhone, iPod or iPad. Now you can create and listen to your own soundscapes behind your favorite podcasts. mixing them together with the volume cross-fader. You can even control each track independently while the mix is playing (scrub, play, pause, skip, fast forward and rewind). You can even save your your mixes and playlists within the app. What makes Podcast + Music MIXER unique is that it gives you access to your own podcast and music library and allows you to combine them. Unlike existing DJ mixing software, MIXER isn’t about mixing beats, it’s about enhancing your podcast listening experience. Mixer successfully launched in March 2014 and we’re looking forward to using, promoting and continuing to develop this awesome app! Tactica Interactive produces innovative apps and games for Apple and Android mobile devices.